Some say that church is still the most segregated place in the nation. I disagree. The diversity found in our church plants is inspiring. While on a recent trip to Florida I ate at a restaurant that made me think about how diversity, intentionally engaged, is a beautiful thing. 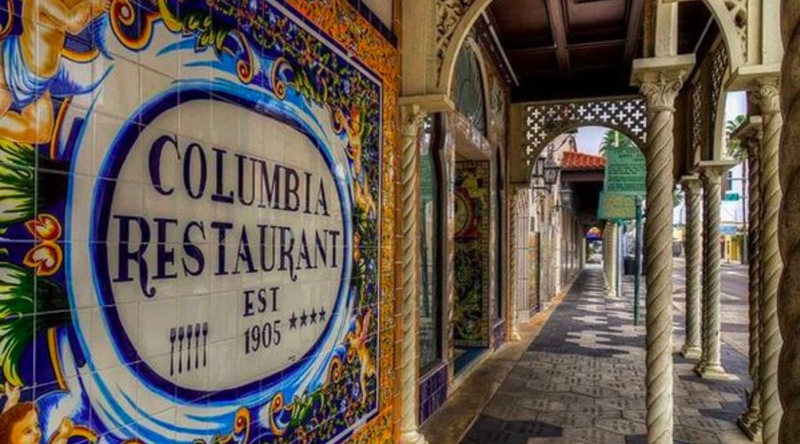 The Columbia Restaurant is the oldest restaurant in Florida and is still owned and operated by the Hernadez-Gonzmart family which started this amazing place in 1905. While Ybor city is most famous for the Cigar industry that thrived there in the late 1800’s, it is also famous for the origination of the famous Cuban Sandwich. The staple of the Columbia. You see, the workers that made the cigars and the owners and operators of the cigar factories came from all over the World, and like every good factory, the workers needed a place to eat and the famous cuban sandwich was born by the collision of all these cultures: The Spanish brought the fine ham, the Sicilian’s brought the salami, the Cubans brought the mojo marinated roast pork, and the Germans and Jews brought the Swiss cheese, pickles and mustard. They threw all those together on some fresh baked Tampa/Cuban bread and this amazing sandwich was born. There is a great lesson to learn from this small bit of history. As church planters, if you can appeal to a multitude of cultures, expressions, and peoples in your geography, and put those together in an explosion of praise for the worship of Jesus, something incredible might come of it. Something that will withstand the test of time, and bring fame to His kingdom. Success is as much about hard work as it is about perspective. Hard work without a bigger perspective or vision can be wasteful. It can also defeat your people. As a Church Planter you need to remember that your words are viewed very heavily by those who follow your leadership. They are watching you as an example of how to live their own lives. Furthermore, how you represent yourself and your reality can either propel or dismantle your future success as a church planter. I recently attended—one week apart—two different church plants in which the church planters had two very different perspectives. One had a church plant that was moderately growing and doing well, the other was on the brink of failure. But before I convey my experience, let me share an apocryphal story with you. What a difference perspective makes. Now, back to our two church planters. The successful one took the stage to do announcements and was super excited. He actually pointed out the empty chairs in the room and challenged his people to make sure those were filled in the coming weeks. He spoke of his adventure in church planting as a roller coaster ride for Jesus and his energy was apparent. The second church planter (I actually visited him the previous week) came to the stage early in the service and made a comment about several families that were not there because of vacation, and talked about how hard church planting was. He was obviously speaking through a sense of disappointment. I don’t want to overstate, but I could almost—literally—see a cloud over his head. Let me ask you – who would you follow? No one wants to follow a defeated leader with a pessimistic perspective. As a church planter let me recommend that even on the worst of days you take the stage with the excitement of a man purchased by the blood of an omnipotent Savior and let your people experience that passion through you. Let them see a man who assaults the difficulties of church planting with an energy that is relentless and contagious. Let them find inspiration in the way you handle yourself in their presence. Here is a quick video that I put together for this blog. Please share it if you like it. The day is July 18, 1862 and the events of this day would echo through history as one on the most unique, if not brazen, acts of the American Civil War. 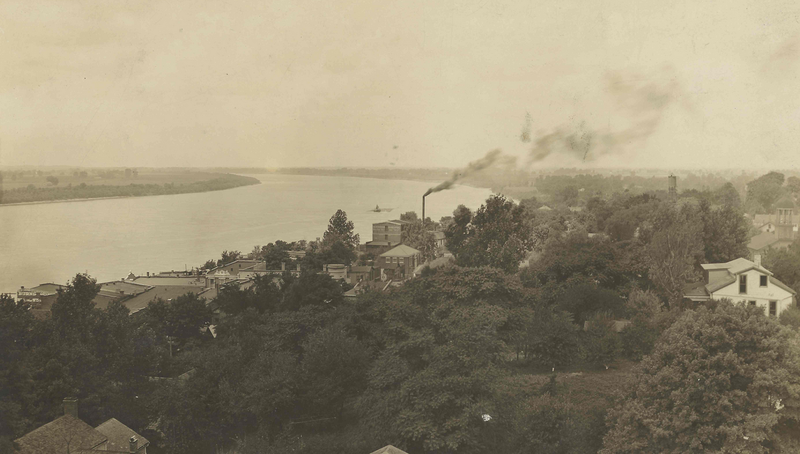 It was on this day that Colonel Adam “Stovepipe” Rankin Johnson and two confederate partisans left Henderson Kentucky and crossed the Ohio river in a canoe, walked boldly into the company of eighty-five union soldiers under the command of Colonel Bethel in Newburgh Indiana and demanded their surrender. Once the union soldiers surrendered the rest of Johnson’s men, only twenty-nine in number, made landing and sacked the city. The Newburgh Siege would go down in history as the war’s deepest incursion north of the Mason-Dixon. How did Colonel Johnson succeed? He succeeded because he had both a brazen plan and two really loyal men at his side. Before the raid Johnson had set up two “Quaker Canons.” One canon was made from a charred log and the other from a stove pipe, each with a set of broken wagon wheels propped up at their side. These canons were set up on hills overlooking Newburgh at such a distance that a spotting glass could just make out their form. When Johnson and his two men walked confidently into the Exchange Hotel at what is now the corner of County Road 850 West and West Jennings Street, they were immediately drawn upon by the union forces housed there. At the end of eighty-five union guns, Johnson boldly demanded their surrender. Handing the spotting glass to Colonel Bethel, and encouraging Bethel to look at the two hilltop canons and across the bank of the Ohio where his twenty-nine soldiers waited, he convinced Bethel that hope was lost and that the entire city of Newburgh was surrounded. The quick surrender afforded the confederacy with much-needed arms, food and medical supplies. The real irony here is Johnson’s men had very few working weapons, and almost no food. Any resistance whatsoever, and the plan would have failed. As a leader you could learn much from Colonel Johnson. First and foremost, that it takes courage to be a leader, especially when so many of your directs are relying on you to lead them. They desire to see a man or woman who is unafraid, competent and willing to go ahead of them into the future. For me, the great takeaway from the Newburgh Siege is this; with a brazen plan and two good men at my side I can expand my territory beyond what reason, or anyone from the outside, would consider possible. When was the last time that you, convinced of God’s purpose and desire for the future, marched boldly into the enemy’s camp and demanded his unconditional surrender?